Leadership Knoxville’s mission is “we build a stronger Knoxville by developing people and groups, leading to a greater community.” This is accomplished through leadership programs, community workshops, and events designed to inspire, challenge and connect people at all levels of leadership development. 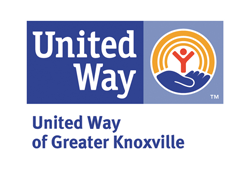 Leadership Knoxville’s Flagship Program began in 1984 with more than 1,300 leaders from business, education, healthcare, government, religious institutions, non-profit and arts organizations participating in the program. The 10-month learning experience provides opportunities to explore community issues, hone leadership skills and expand community connections into lifetime friendships. The curriculum is based on servant leadership principles. Leadership Knoxville Scholars began in 2013 as a collaborative program with the University of Tennessee Center for Leadership and Service to retain the best and brightest college graduates. 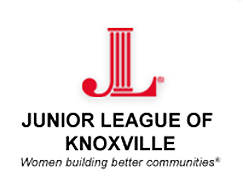 The two year cohort program provides rising juniors with leadership development training, weekly speakers, community action projects, as well as Leadership Knoxville Alumni mentors. Youth Leadership Knoxville began in 2014 with high school juniors participating from public, private and home schools. The 10-month program features a week long summer camp and continues with monthly sessions providing participants with opportunities to learn more about our community, local issues and leadership skills, while extending their peer networks across school boundaries. Leadership Knoxville offers training in the art of facilitation – the ability to lead groups in identifying and achieving their goals, in an effort to function at their most productive levels. Emphasis is placed on achieving a common vision, then using it to create a strategic plan with identified goals, objectives and action items. Alumni remain connected to each other and the organization through numerous events, including an annual Alumni Homecoming, the Mayors’ Leadership Luncheon, Behind the Scenes series, monthly Power Lunches and a variety of community workshops on timely topics such as How to Run for Public Office.